Romantic Ruin – Fine Future ? Following the mini-castle listed last week, we have had several emails seeking more. So this edition of the Unique Property Bulletin we start another unusual building of this genre. Brucklay Castle, is an evocative structure. A classic ruin. But one with planning permission in place to create a marvellous home. 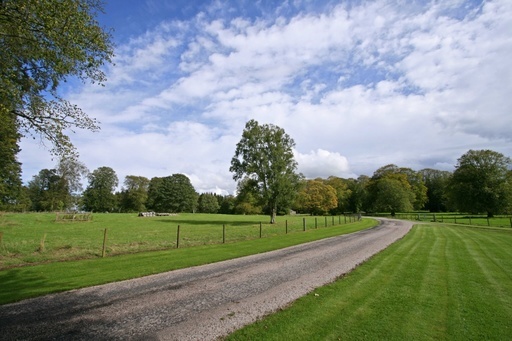 Plus there are around 60 acres of parkland and woodland generously included within the sale. 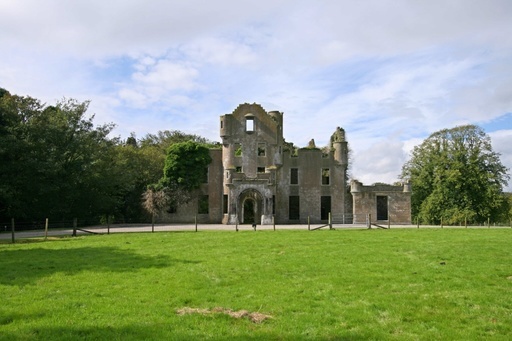 Scottish castle renovation opportunity: Smiths Gore’s Fochabers Office is marketing Brucklay Castle in Maud near Aberdeen. The castle was originally built in about 1600 and was substantially remodelled in 1850 in the Victorian Baronial style. It has since fallen into a ruinous state and plans have been drawn up to create a modern day castle of manageable size. (Full planning and Listed Building consent has been granted). In its heyday Brucklay was regarded as one of the ‘finest edifices in Scotland’. The castle has passed through three families including the Dingwalls and finally the Dingwall Fordyces. There was a brief period during the Second World War when it was used as a guards’ residence for a P.O.W. camp. It has been unoccupied since 1952. The all important planning and listed building consent were conditionally granted for Alterations, Partial Demolition, Extension and Change of Use of Ruinous Castle to form Dwellinghouse in Jan 2010 ref:APP/2008/3875 &APP/2008/3876. There are some fine forensic detail, photographs, drawings and plans available to inspire any prospective purchaser via.. Location: Brucklay Castle, Maud, Peterhead, Aberdeenshire, AB42 4QN. Guide: Offers in excess of £600,000. Contact Smiths Gore Agencies Tel: 01343 823000 – Mr Jamie Watson. These former fire stations are becoming very popular with readers. It is also the nature of local authorities seeking economies of scale in the current era of austerity that more of these buildings are being sold. The one photographed above is up for auction at Clive Emson in February. A detached property located in Sturry High Street, Canterbury, and suitable for a range of uses, subject of course to the appropriate planning consents being obtained. Enquiries to Canterbury City Council Planning Department – Tel: 01227 862178. Our friend Kevin Hale, has a photograph of the old fire station at Pevensey (NOT for sale) as an indication of how these types of building can be brought back to life. Though there is something iconic about the bright red paintwork. Understandably toned down at Pevensey, but whoever buys the current building for sale at Sturry, it might be hoped a little red clolour be kept as a reminder of the sterling service this little detached building has given over the years in it’s previous incarnation. Sturry Fire Station Site Measurements: The entire site extends to approximately 0.13 acres (0.05 hectares). 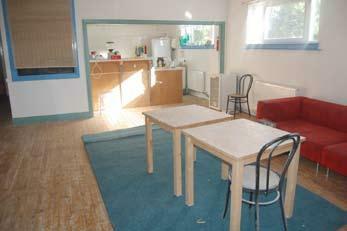 Accommodation: Main garage with doors to both front and rear, office, W.C., store room and recreation room. Outside: Hardstanding area to front, rear and side. 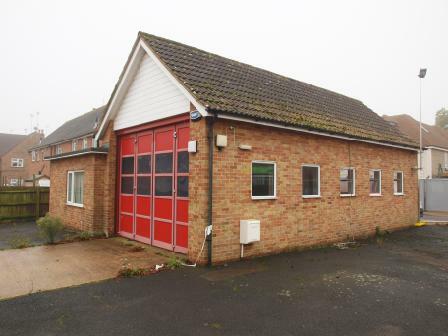 Location: Former Fire Station, High Street, Sturry, Canterbury, Kent, CT2 0AX. Guide: £100,000 to £110,000 – Lot 23 – Auction Date 4th February 2013. Contact Clive Emson Auctioneers Tel: 0845 850033 Kevin Gilbert or Will Page. Trains, Ships, Harbours & Stations. A detached prominent single storey Grade II Listed Victorian former Harbour Railway Station, currently used as offices and a training centre, with a secure large car park and yard. Externally, the premises are in a good state of repair in keeping with the age and character of the building, which has been regularly maintained by the present owners. Internally, the premises have fairly recently been refurbished to provide an elegant reception/entrance area, offices, training rooms, workshops, storage rooms, a kitchen and WC’s. There is also a tower to the south east of the building, with an internal staircase leading up to an uncovered viewing area, with amazing views of Dover Castle and the Marina. Harbour Railway Station (bottom right) – Iconic Harbour Vista (c) 2013 John Baker. The premises are situated on Elizabeth Street, just off the Archcliffe Road/Limekiln Street roundabout (A20/A256). The M2 and M20 motorways are both in close proximity, which allows easy access into central London. Dover Priory Mainline Railway Station is approximately 1/3 of a mile away, which provides regular services into central London in just over 1 hour. There are also buses serving the area, located on the A20/A256 which is within walking distance. The neighbouring port of Folkestone is 10 miles to the West along the A20 and the Cathedral town of Canterbury is 15 miles to the North West off the A2. Dover town centre is a 1/3 of a mile away and provides various shopping facilities and amenities for the local community and tourists. 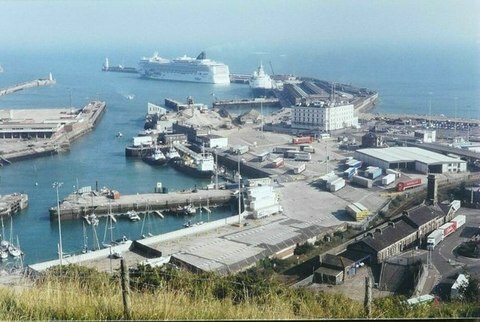 Dover is a major ferry port which faces France across the English Channel, situated South East of Canterbury, East of Maidstone and North-East from Dungeness and Hastings. Services related to the port provide a great deal of the town’s employment and tourism. 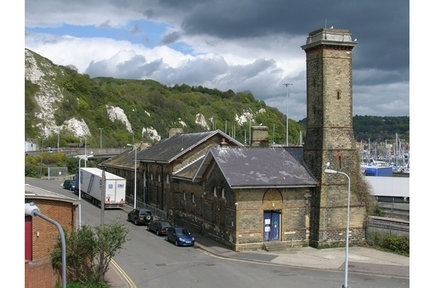 Location: Old Harbour Railway Station, Elizabeth Street, Dover, Kent, CT17 9EF. Contact Smiths Gore Agencies Tel: 01732 879050 – Lucy Winzer. Sadly this building has come to market on the instructions of a financial institution. Price guided at “Highest Bid” this could be a very interesting purchase for someone. Not only is there a lot of space to play with – just check out the floorplan guides on the auctioneer’s website – but the place is steeped in musical history on an iconic scale. This former Ballroom and Theatre has played host to such world famous bands such as The Beatles, The Rolling Stones and Pink Floyd. Regular readers of the Unique Property Bulletin will know our view on buildings such as this. Often a compromise with the planners and some sensitivity to local concerns can see a positive form of continued use and community function whilst also allowing for a partial residential conversion. The classic example is the Ronnie Barker flat above the shop. We have progressed this principle of changing commercial use to commercial plus residential several times, and it can be done. 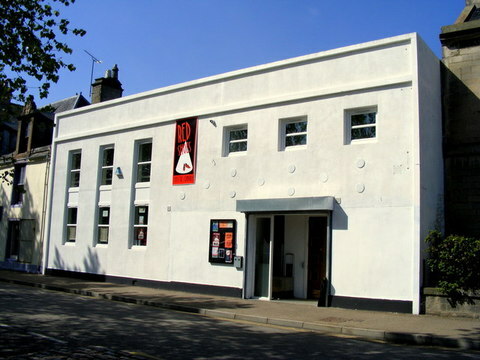 With regard to the former theatre building described here, it may be possible to restructure the layout to accommodate some residential use for the new owner, whilst continuing the theatre element. Ideally, and this is also from experience, if a potential buyer can do this without needing to resort to a mortgage, but be 100% equity driven, then enterprises such as this can and do rise from the ashes. With no mortgage, when times get difficult, at least the roof over your home and work are secure. A very good place to be. As is Elgin and the mix of Highland scenery, Cairngorm Mountains with the fine city life balance that nearby Inverness also has to offer. In fact the idea of mixed usage has already been mulled over when Moray Council received a planning application for the building to be transformed into a dental practice and two flats. Local feeling is strong about the building and it’s history, so perhaps a revised submission for one resident owner’s flat and retaining the original theatre function may receive a much more positive welcome from local councillors. “It is a real icon and landmark in Elgin,” advises Councillor Jarvis. The Councillor was involved in a Facebook campaign – “Elgin Needs a Venue” – launched last year in the wake of the Red Shoes Theatre closure. Something for those Bulletin readers with an eye for the dramatic to contemplate? Formerly known as The Two Red Shoes Ballroom and more recently as The Red Shoes Theatre, this is a substantial property extending to an approximate 4790 square feet, with the accommodation arranged over two floors. 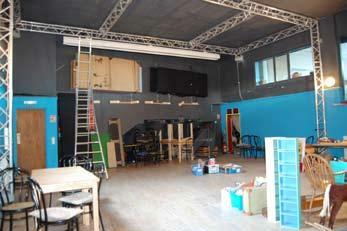 First Floor – cafe, kitchen, meeting room, technical room, music room, rehearsal room, studio, staff room and four store rooms. 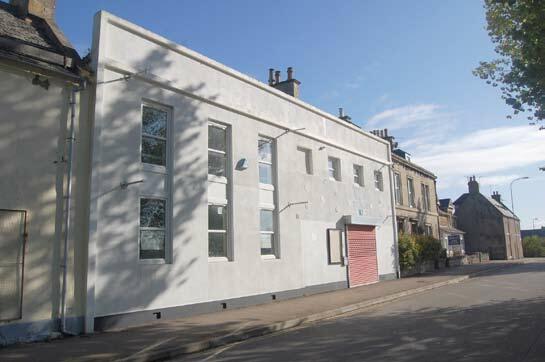 Location: Former Ballroom & Theatre, 4-8 South College Street, Elgin, Moray, IV30 1EP. Contact Wilsons Auctioneers Tel: 01294 833444. An interesting building of unusual government lineage. The riverside location gives it a lot of potential to someone with the right sort of architectural imagination. 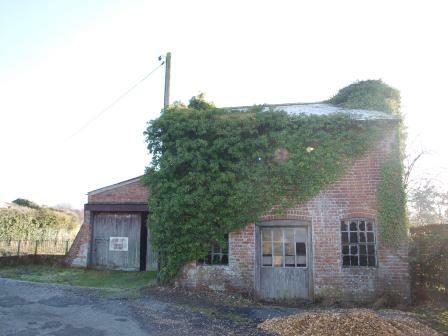 These redundant buildings were formerly part of an Environment Agency Depot and are situated to the east of the town of Fordingbridge on the western fringes of the New Forest. 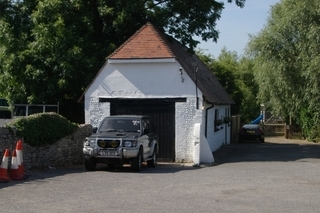 The buildings comprise a two storey cottage style building and a substantial single storey garage/workshop. The buildings may be suitable for conversion or possible re-development, subject to all the necessary consents being obtainable. Interested applicants are advised to make their own enquiries with the Local Planning Authority, the New Forest District Council, Appletree Court, Lyndhurst, Hampshire, SO43 7PA. Tel: 023 8028 5343. Accommodation: Two storey cottage style building over two floors connecting to a garage/workshop. The approximate overall measurement for both buildings is 1,450 sq.ft. (135 sq.m.). Outside: Parking area to the front of the garage. There is a further strip of land to the side of the property overlooking the river to which access may be available. Viewing: Strictly by prior confirmed appointment with the Auctioneer’s Office. Interested applicants view the site entirely at their own risk. 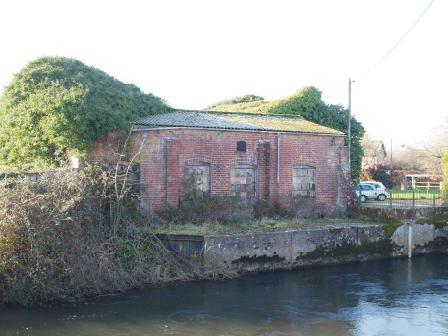 Location: Former Environment Agency, East Mills Depot, South Side, River Avon, Southampton Road, Fordingbridge, Hampshire, SP6 2JS. Guide: £90,000 to £110,000 – Lot 98 – For Sale By Auction 6th February 2013. Contact Clive Emson Auctioneers Tel: 0845 6001265 – Rob Marchant or Dave Henwood. … as well as the almost instant 10,000+ website hits we welcomed, there has also been a steady stream of emails from folk asking about unusual property for sale at the higher end of the market – we do our best to cover a full spectrum from £10,000 buildings to £10,000,000. Though a big mountain range of 28,000 acres plus two homes at £8,400,000 is the highest we have ever listed so far Unique Property Bulletin Mountain Range. Coincidentally we received a lovely reply from one of the director’s at Cluttons Agency last week – very professional. We had sought copyright permission, and the lady went to a lot of bother for us. In a modest effort to say thank you, we are ending this week’s Bulletin with a property from Cluttons wonderful range of buildings for sale. Hopefully this will also assist many of those readers looking for something a little out of the ordinary, and at the same time in one of the major UK cities. 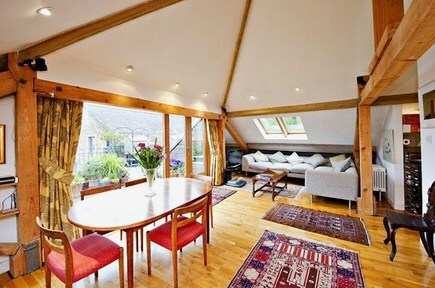 So here we have a very nicely completed, and unusual property within a former Thames-side Granary. 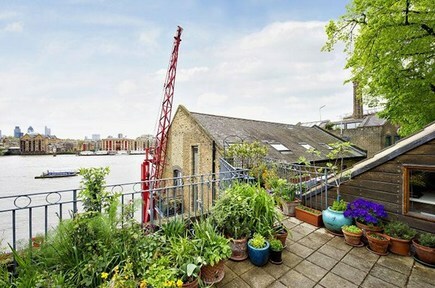 A two bedroom river fronted warehouse apartment with a large terrace looking out across the River Thames. The apartment has a variety of original warehouse features including exposed wooden beams throughout. The terrace is one of the largest River Thames fronted terraces within the area and offers some spectacular views out across the Thames and London. There is a spacious reception room, a separate galley kitchen, two bedrooms and a good sized bathroom. The apartment also benefits from having a large amount of natural light throughout. Hope Wharf is one of Rotherhithe Village’s most prestigious warehouse conversions and includes day porterage and one car parking space. Bermondsey (Jubilee line), Canada Water (Jubilee and East London lines) and Canary Wharf (Jubilee line and the DLR) stations are all within easy access. 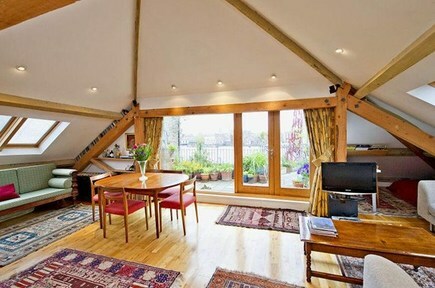 Location: Granary House, Hope Wharf, London, London SE16 4JX. Guide: £850,000 (please quote Cluttons Ref TOW100112). Contact Agencies Tel: 020 7407 3669 – Cluttons, Tower Bridge Office. Many, many readers contacted us. As a result we promised to update news and progress on the main Bulletin. We can now report, for the research base to assist our readers in future, what last year’s listed Tardis type police box disposals achieved in price terms. Lothian & Borders Police (soon to be part of the combined “Police Service of Scotland” if you need to search Google for more police boxes etc) advise that 16 boxes have been sold, with a further 5 still under offer. Cranston Street Police Box – £23,999 – Proposed Use – Sale of drinks and snacks. Croal Place Police Box – £2,790 – Proposed Use – No proposed use yet identified. Dalkeith Street Police Box – £4,620 – Proposed Use – To be uplifted. Drumsheugh Gardens Police Box – £4,500 – Proposed Use – To be uplifted. Easter Road Police Box – £2,400 – Proposed Use – To be uplifted. Hunter Square Police Box – £102,000 – Proposed Use – Ticket Sales – £££ Wow ! Magdala Crescent Police Box – £4,450 – Proposed Use – To be uplifted. Melville Drive Police Box – £18,000 – Proposed Use – Sale of drinks and snacks. 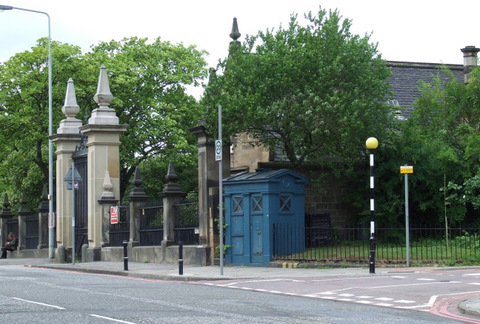 Newbattle Terrace Police Box – £1,100 – Proposed Use – No proposed use yet identified. Newcraighall Road Police Box – £5,105 – Proposed Use – To be uplifted. Princes Street Police Box – £40,000 – Proposed Use – Sale of drinks and snacks. Regent Road Police Box – £2,780 – Proposed Use – No proposed use yet identified. Rutland Square Police Box – £5,000 – Proposed Use – Use in association with the communal gardens. The Shore Police Box – £15,101 – Proposed Use – Renovation of Police Box. West Register Street Police Box – £10,001 – Proposed Use – Refurbishment to original condition. Whitepark, Gorgie Road Police Box – £2,401 – Proposed Use – Air-monitoring station. Our small gang here at Unique Property Bulletin SO nearly ended up with one of these to share. Just looking at the prices, had we gone ahead and submitted the official Tender Document (still gathering dust in the filing cabinet) it would have beaten the published price our favourite Tardis went for! Just shows, you should give these things a go. We had thought the prices would all be well over the £8,000 top-end guide. Just look at what Hunter Square Police Box went for: £102,000. Please keep an eye on future issues of the Unique Property Bulletin and we shall list any we see coming up for sale. From what we understand, there should be one or two more Tardis / Dr Who Houses coming to market during 2013. However you get on, with whatever unusual property you may end up buying, please consider letting us know about your unique adventures? Air Fields, Air Control Towers, Aircraft Hulls, Air Raid Shelters, Almshouses, Amazing Spaces, Barns, Bastle Houses, Bridges, BT Telephone Exchanges, Bunkers, Canals, Canal Boats, Castles, Caves, Churches, Cinemas, Coastguard Towers, Community Dwellings, Container Houses, Customs Houses, Dams, Distilleries, Dr Who House, Earth Dwellings, Engine Houses, Fire Stations, Foghorn Buildings, Gasometers, Granaries, Harbours (For Ships), Helicopter Houses, Hobbit Houses, Hospital Buildings, Hotel Buildings, Ice Houses, Infinite Spaces, Islands – Private, Islands – Small Community, Jails, Keepers’ Houses, Libraries, Lifeboat Stations, Lighthouses, Lodges, Lookout Defences, Loos, Martello Towers, Ministry of Defence Buildings, Movie Sets, Multi Storey Carparks, Nuclear Bunkers, Oil Rig Modules, Orangeries, Police Boxes, Police Stations, Post Offices, Printing Works, Pubs, Pump Houses, Queen’s House, Railway Carriages, Railway Stations, Rocket Stations, Schools, Shipping Container Houses, Ships, Ship Hulls Landbased, Signal Boxes, Steam Houses, Stately Homes, Subterranean Dwellings, Sustainable Homes, Tardis, Tide Mills, Toll Houses, Tunnels, Underground Railway Carriages, Underground Stations, Unusual Eccentrics, Valve Houses, Vicarages, Walled Gardens, Warehouses, Water Towers, Water Treatment Works, Water Works, Weird Buildings, Wild Cards, Winch Houses, Windmills, Wind Turbines, X Factor, Yachts, Zoos.